THE £2,000 EMPLOYMENT ALLOWANCE CONTINUES FOR 2015/16 The £2,000 “employment allowance” introduced in 2014/15 continues to be available for 2015/16. 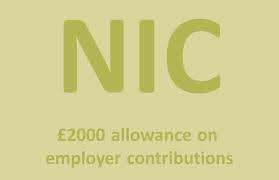 Note that this allowance provides relief from paying employers NIC on the first £2,000 of contributions. The £2,000 allowance is set against employers NIC on a cumulative basis during the tax year. The allowance is available to most employers, although those under common control are restricted to just the one £2,000 allowance. Husband and wife companies with no other employees charged to national insurance may find it tax efficient to change the mix of salaries and dividends to take advantage of the £2,000 allowance. From 6 April 2015 it may be advantageous to increase directors’ salaries to the new £10,600 personal allowance instead of the NIC threshold of £8,060 (£155 a week). The extra £2,540 will save £508 (20%) corporation tax (£1,016 for two directors) whereas the additional employees NIC would be just £305 each. Husband and wife company – from 2015/16: Salary £10,295 net = gross £10,600 Dividend up to BR band £28,606 net = gross £31,785 Top of BR band £42,385 Net cash extracted (each) £38,901 Total extracted £77,802 for couple There would however be 20% corporation tax payable. Profits before tax £71,515 @ 20% = £14,303 corporation tax, thus profits before salaries and tax would be £92,715. 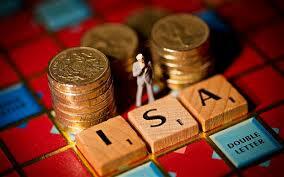 This results in an overall tax and NIC rate of just 16.1%. A salary in excess of £10,600 would attract income tax (at 20%) and employee’s NIC at 12%.